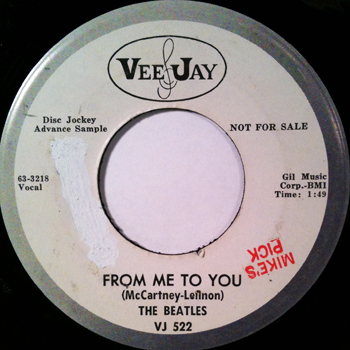 The second Vee Jay 45 to be released in the US by The Beatles. It failed to chart in the US Hot 100 despite it being a number one hit in the UK. This is a promotional DJ copy and estimated release date is assumed to be one week prior than the commercial release date. VJ 522.DJ1.